Sticky Password is a password manager and form filler. One of the biggest issues in online security is that people use the same password on every site that they visit. Then when a site is hacked and the user’s credentials are stolen, the hacker has access to any other accounts that use the same login information. Therefore it is important to make new and strong passwords at every site you visit to stay secure. So get a move on it and grab Sticky password Premium now. 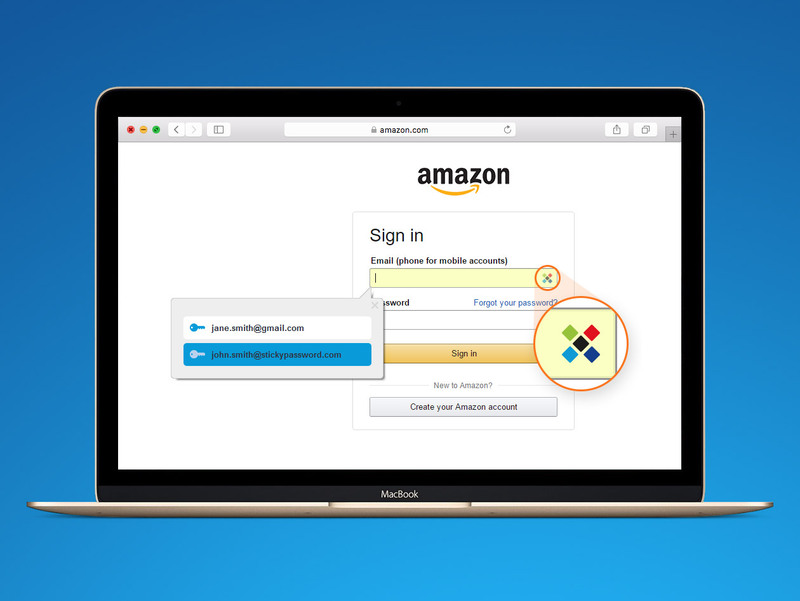 Sync all your passwords, logins, credentials and more to all your devices. Here Sticky password offers Biometric Authentication. 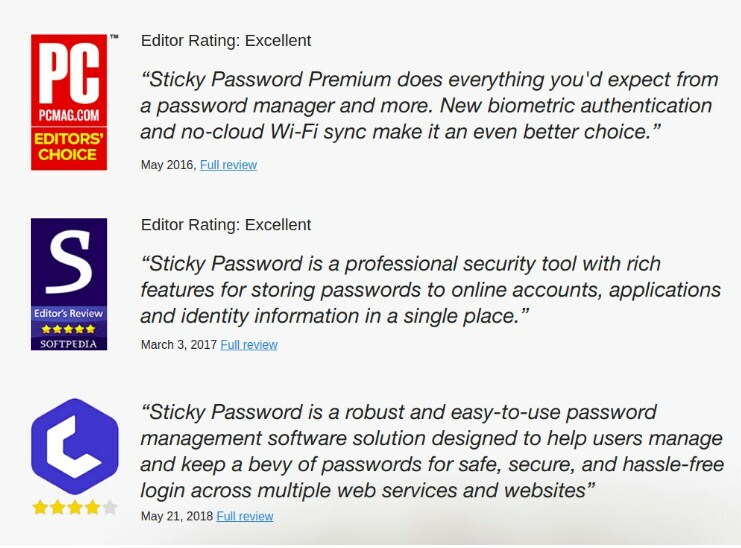 Sticky Password Premium allows you to create strong and unique passwords for every site that you visit and store them in an easy to use the program. 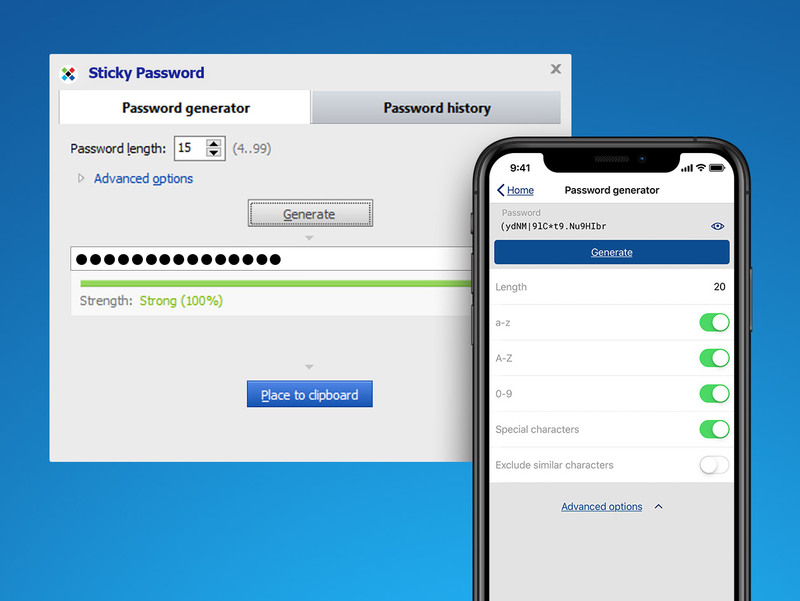 Sticky Password keeps all your passwords in one secure location encrypted by AES-256. Your Master Password will be your key that unlocks your password storage – only you will know what it is! 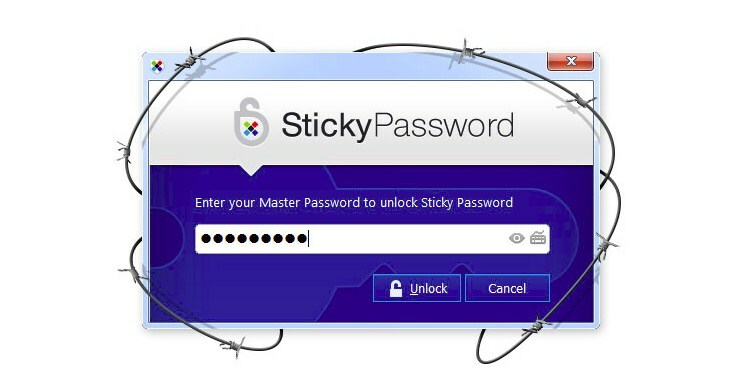 Sticky Password technology is trusted by millions of people around the world. 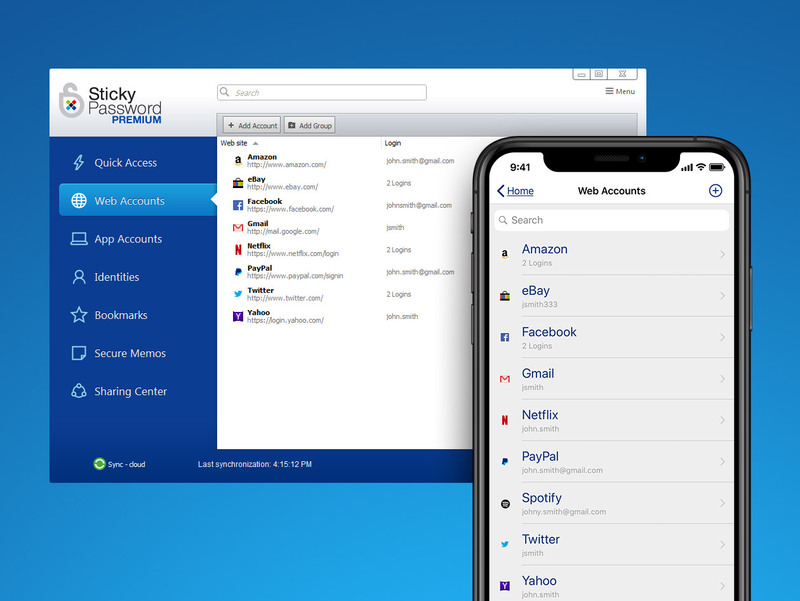 In addition to Windows, Sticky Password is also available on Mac, Android, and iOS with best-in-class sync options that you control. You decide if and how to synchronize your data across all your computers, smartphones and tablets. If you prefer not to sync via Sticky Password’s secure cloud-based servers, you can utilize local Wi-Fi sync, which syncs your data over your own network and never touches the cloud. 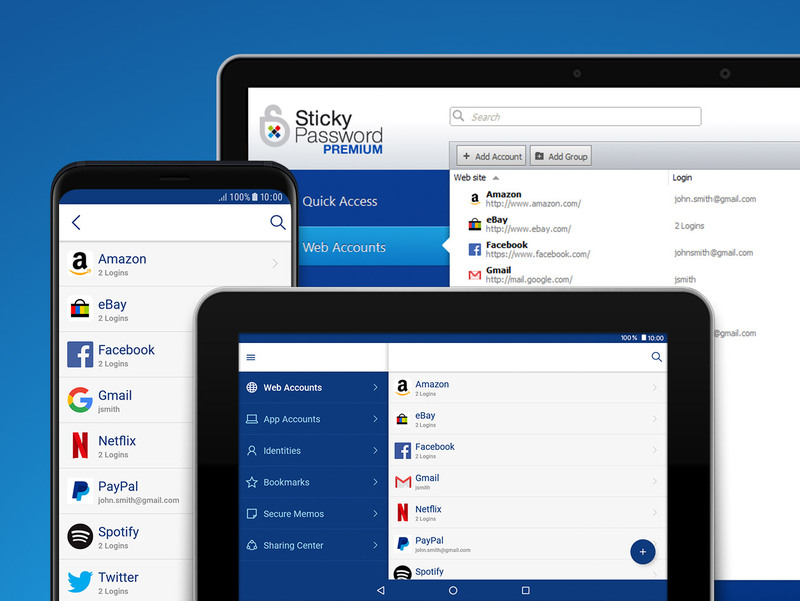 Sticky Password Premium is a password manager that works for you. You’ll need to remember only one password. Create unique super strong passwords automatically. For each of your accounts. Identify and change weak, old and reused passwords with the security dashboard. 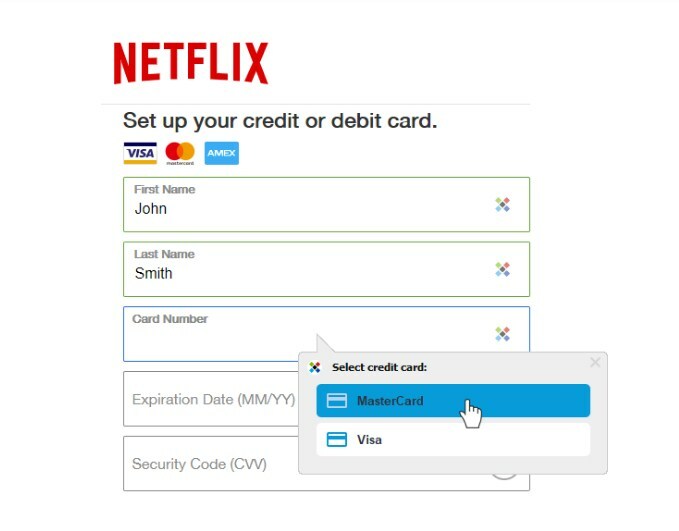 Pay with your credit cards with one click. Keep your credit card numbers in the super-secure vault that only you can access. Secure any text you want with AES‑256 encryption used by the military. Secure memos protect your passport, IDs, software licenses, and much more. 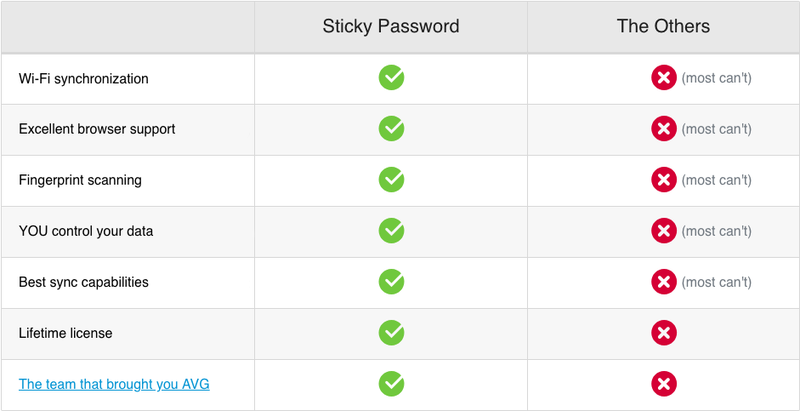 With Sticky Password, you get more than with other password managers. Unlimited encrypted password and data storage. Automatic form‑filling and auto login. For all your devices & browsers. Cloud and local WiFi sync across all your devices. Secure cloud backup for your passwords and data. Question:- What’s happening after Purchase this deal? You will receive an invoice in which help file is also attached via E-mail and in second mail you get Coupon Code to redeem on the vendor’s website, to obtain the plan you purchased. Question:- Why I purchase this deal from your website? Because you will get upto $10 Cashback in your DealMirror’s wallet by purchasing it from DealMirror.com. This cashback will be credited in your account within 24 hours of purchase. You can use this cashback to buy any product from DealMirror.com only. Question:- What is the redemption deadline for Coupon Code? Redeem within 60 Days of Purchase. Question:- If I purchase 3 Licences, So need to use 3 different email id’s? Question:- Sticky Password supports how many platforms? Question:- Length of Access for this product? Inside of this Sticky Password Premium.